With closer relations among countries in the Horn of Africa, there are talks of great economic integration, but Somalia would be the loser if that went ahead too soon. 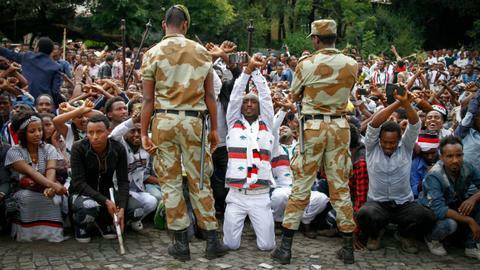 The Horn of Africa’s regional political and economic direction made a U-turn when Abiy Ahmed came to power as the new prime minister of Ethiopia in April last year. Before his appointment, the region was socially and economically stagnant and there had not been any attempt at strong collaboration among the nations in the Horn of Africa. However, Ahmed has proven to be a charismatic and visionary leader who is determined to implement his reform agenda in Ethiopia and build strong and collaborative diplomatic ties with countries in the Horn. The rapid pace of Ethiopia’s new vision and the impact of Ahmed’s radical reforms will start to roll through Africa and in particular its East African neighbours. 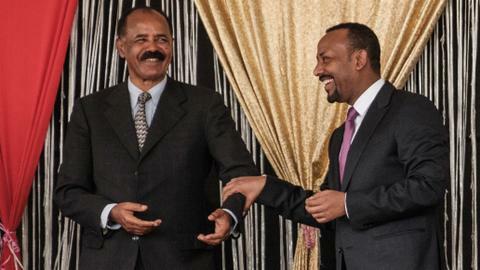 After years of animosity, Ethiopia and Eritrea have normalised their diplomatic ties, inked bilateral agreements and re-opened their borders and embassies. Days after Ahmed’s visit to Eritrea’s capital, direct flights resumed between Addis Ababa and Asmara. 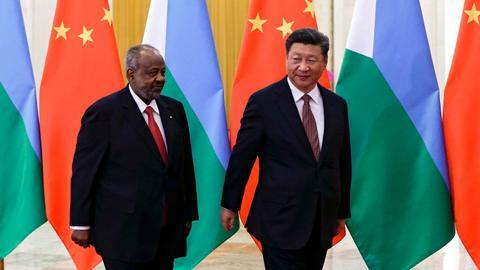 This peace deal has also created signs of warming ties between rivals Djibouti and Eritrea. Another counterintuitive incident happened in July of last year when Mogadishu and Asmara restored relations after a decade-and-a-half of hostility between the two nations. The diplomatic crisis unfolded when Somalia accused Eritrea of arming and funding anti-government Islamist groups, an allegation Asmara has repeatedly distanced itself from. Finally, Farmaajo and Afwerki agreed to re-establish ties and end hostilities. 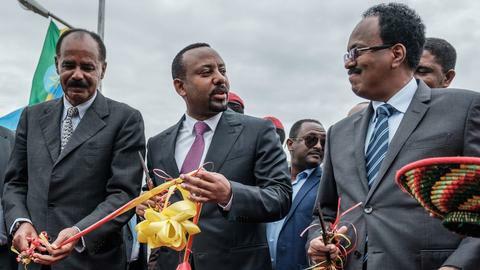 The leaders of Somalia, Ethiopia and Eritrea are tirelessly pushing a new regional economic integration initiative with the aim of boosting trade and economic ties between the landlocked nation and the two costal states. The regional economic integration agenda has been the theme of a series of high-level meetings between the leaders. The public broadcaster in Somalia, SONNA, has reported that the regional integration policy is also being spearheaded by Somalia. President Mohamed Abdullahi Mohamed, best known as Farmajo, has a vision “to promote free trade flow, and a mutual economic cooperation between all the countries of the Horn of Africa,” SONNA added. The proposed economic integration has the potential to increase trade benefits, create job opportunities, and facilitate the transfer of skills among citizens of the region. Most importantly it would enhance security and political cooperation between the nations. But some regional pundits believe that attempting a quick execution of such an ambitious and region-wide reform will only create chaos, trade disparity and complete disarray in the short run due to the existing ethnic tensions, social unrest. They fear it could possibly heighten insecurity in the region given several ongoing conflicts. 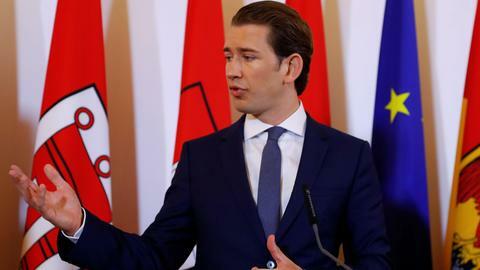 For those crises to be mitigated, every member state of the bloc should consider pre-integration plans that will prevent them from trade imbalances and unforeseen anarchies in the future. The Somali government should industrialise the economy and rejuvenate the collapsed manufacturing industry of the nation before considering the proposed regional economic integration or becoming a member of any other regional trade bloc. Why industrialisation before regional integration? Many of Somalia’s micro and macroeconomic challenges can be fixed from within. The main causes and contributing factors to the economic deadlock remain internal challenges that demand clear national policies and concrete plans. Poor infrastructure, weak state institutions, counterfeit currency challenges, aid and reliance on imported goods, a lack of industries and an already sinking manufacturing sector are the key headwinds preventing the national economy from achieving its potential. Environmental shocks and recurrent droughts have hit the nation’s sources of income hard and it is becoming crystal clear that there is a need to transform the economy from primarily agricultural and livestock-dependent to one based on the manufacturing of goods. It is worth mentioning that Somali imports are four times more than its exports. This lopsided economic situation would be significantly worsened if Somalia were to enter into a free trade agreement or regional economic integration. Furthermore, the Somali government’s attempt to become part of the new regional economic integration initiative damages and compromises the economic progress that has been made in recent years, not because free trade and economic integration are not desirable but because the timing for the Somali economy would not be good. If the intention of the Farmaajo administration is to create economic and trade opportunities for Somali people then spearheading regional economic integration without having pre-integration plans, functioning industries and manufactured goods to offer is a misplaced priority. It is an undeniable fact that Somalia’s private sector is strong and has developed significantly during the years of unrest, and one may think that enterprising Somalis will be able to take advantage of the market of more than 120 million people that could open up under a regional economic agreement. But again that is another miscalculated prediction considering the fact that a majority of local Somali businesses are merchandising companies which (re)sell imported goods in local markets. Furthermore, the most successful companies in the country are service companies which provide telecommunications, banking, remittances and internet services. The fruit of any integration could only be reaped with strong industries, manufacturers and infrastructure projects that easily facilitate the transportation of goods ― a game that Somalia would currently lose. Furthermore, certification of goods is a prerequisite for exporting products globally and the Somali government lacks the capacity to provide certification services, hence posing export challenges. All these obstacles will have severe economic disadvantages for Somalia, which is currently struggling to emerge from conflicts and in the process of taking baby steps towards good governance and development. Real and effective regional economic integration can and will only be achieved when all member states of the bloc have equal economic strength and balanced import-export capacities. Otherwise the one with the least to offer will end up becoming a lucrative market at the expense of its citizens. Mowliid Ahmed Hassan is an award winning blogger and the former Chief Editor of Goobjoog Business, Somalia's first financial media institution dedicated to business reporting. 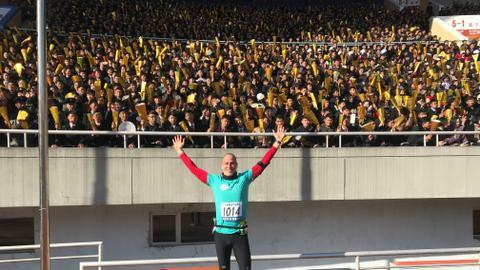 Mowliid has graduated from SIMAD University's faculty of Management Science in 2016.